President Barack Obama says the United States is making a major and long-term commitment in Africa with $33 billion in new investment. 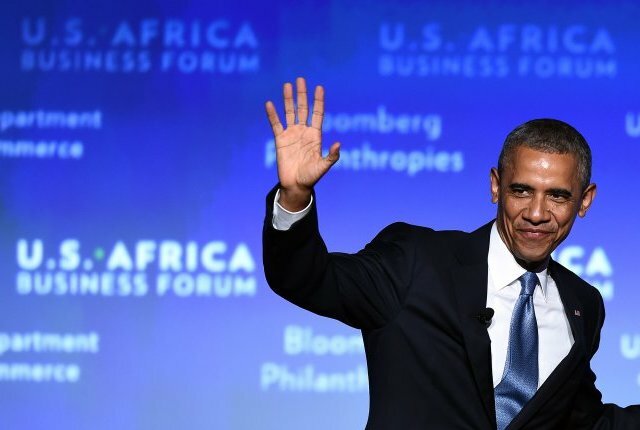 Speaking Tuesday at the U.S.- Africa Business Forum in Washington, Obama said the new investment and financing commitments will support both African and American jobs. The bulk of the commitments will come from private sector companies like Coca-Cola and IBM. The three-day Africa summit concludes Wednesday. Obama said the Power Africa program he announced last year will triple its previous commitment of bringing electricity to 20 million more African homes and businesses, and said it is raising the bar to bring good things to life for 60 million African people. But he cautioned the roughly 50 African heads of state gathered at the summit that the future of Africa is to be found on the African continent, not in the United States. The president said the U.S. will do more to help African nations trade with each other. He said it should not be harder to export goods to your neighbor than to export goods to Los Angeles or Amsterdam. As the worst Ebola outbreak on record rages on in West Africa, Obama told African leaders that keeping their citizens healthy and putting a health care system in place will ensure their countries’ future economic success. s in the energy, banking, construction and information technology fields. Meanwhile, U.S. Secretary of State John Kerry announced an additional $10 million for a U.S. initiative to finance clean energy sources in Africa. He said the U.S. wants to see millions of Africans gain access to power in their homes. “More than 600 million Africans live without access to electricity today. And, our challenge is clear. We need to change those numbers and replace them with a partnership that benefits all sides by making sure that African companies, African cities, African towns, African families have access to clean and renewable energy,” said Kerry. The U.S.-African Leaders summit opened on Monday with forums touching on a range of issues, including regional security, health, the environment and corruption. It comes on the second day of a U.S.-Africa summit involving nearly 50 African heads of state. ​”These investments will deepen U.S. economic engagement in Africa, fueling growth that will support broader African prosperity and emerging markets for U.S. businesses, which will support jobs in both the United States and Africa,” the White House official said. Obama will take part in a discussion with corporate chief executives and government leaders at the event on Wednesday, which will be attended by Commerce Secretary Penny Pritzker, former New York Mayor Michael Bloomberg, and former President Bill Clinton. The business forum will allow dozens of African heads of state to mingle with U.S. and African executives, the official said. It will focus broadly on investment in finance, infrastructure, energy, agriculture and consumer goods. More than 90 U.S. companies are slated to participate including Chevron Corp., Citigroup Inc., Ford Motor Co., General Electric Co., IBM, Lockheed Martin Corp., Marriott International Inc., Morgan Stanley and Wal-Mart Stores Inc. Several African companies were also expected to attend. U.S. Vice President Joe Biden speaking on Monday said the African continent has some of the world’s fastest growing economies, and that those countries will help shape future developments in the world. “We’re on the cusp where the continent of Africa establishes itself as among the ranks of the world’s most prosperous economic and free nations,” Biden said. “In your hands, with your help, Africa can and will go so much further. You’re the fastest growing economies in the world, and quite frankly the success of the rest of the world depends in part on your success,” he added. Later Tuesday, Obama is hosting dinner at the White House for the African leaders. The White House said singer Lionel Richie will entertain the leaders during the dinner on the South Lawn. For dinner, guests will dine on chilled spiced tomato soup, chopped farm-stand vegetable salad, grilled dry-aged beef and cappuccino fudge cake, according to The Associated Press. The leaders of Sierra Leone and Liberia canceled their trips to Washington because of the Ebola epidemic facing their countries.